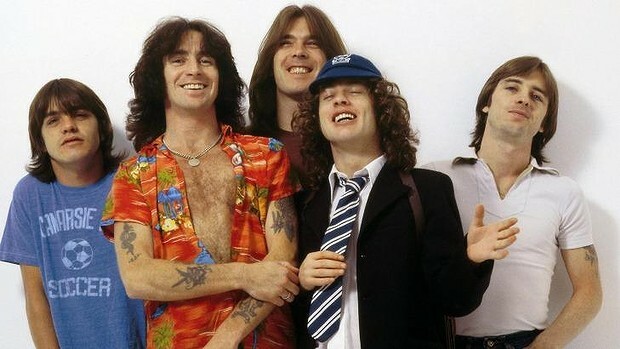 Earlier this year it was revealed that the group had a new album and upcoming tour in the works, but that band co-founder and rhythm guitarist, Malcolm Young, would unfortunately not be participating due to the onset of dementia. With that sad news already looming over the launch of their latest album, Rock or Bust, just this past month it hit the news that drummer Phil Rudd was arrested at his home in New Zealand, on charges of having tried to pay for the murder of two undisclosed individuals. While those charges were dropped for lack of evidence, the drummer is still accused of threatening murder, and of possessing methamphetamine and cannabis. In the latest Rolling Stone, the three AC/DC members who still remain active in the group at this moment — Malcolm’s younger brother and the band’s superstar lead guitarist, Angus Young, lead vocalist Brian Johnson, and bassist Cliff Williams — sat down and spoke candidly of all of it. In the interview — which you can read here — they speak of the addition of Angus and Malcolm’s 58-year old nephew, Stevie Young, filling Malcolm’s slot, and of how even in Malcolm’s absence Rock or Bust incorporates the sadly missed guitarist’s riffs and energy. They also speak frankly of their disappointment and concern over the Rudd situation, but how they are absolutely committed to moving forward with or without him. We recommend checking out the Rolling Stone piece, as it’s oddly inspiring. And if you’ve some confusion about what AC/DC is, or why you should care, or you’re just wondering what proper rock and roll should sound like, we’ve provided the below.